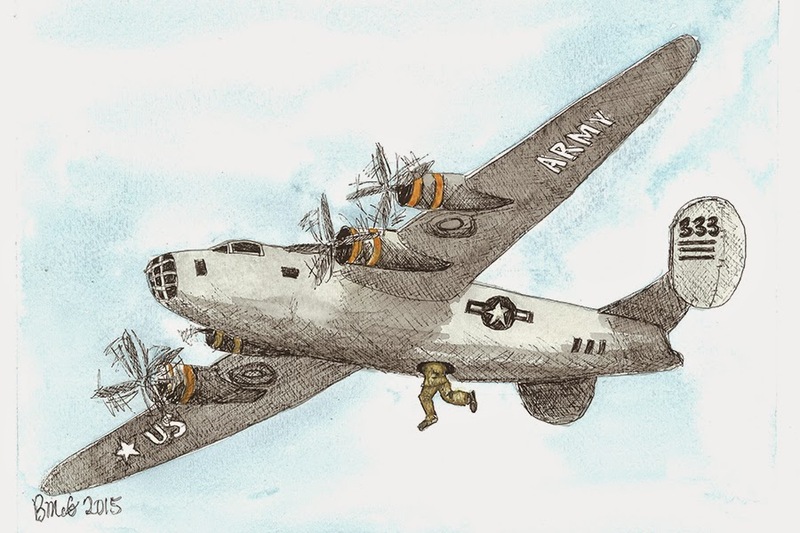 When my dad was flying in a training mission in a B-24 Liberator they encountered some turbulence, someone “lost his lunch” and my dad slipped and fell into the Turret-less hole on the bottom of the plane. Thank God, he caught himself, and as they say, the rest is history!! For more information visit www.honorflight.org. And you can see photo’s from his trip on the Facebook page: Honor Flight of West Central Florida.